For the most part, median sales prices increased across the board compared to the second quarter of 2016. 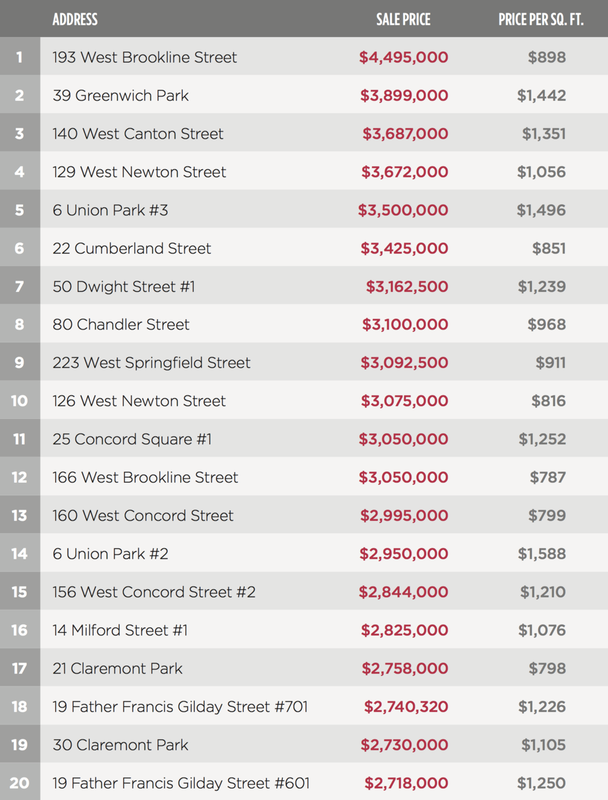 The only neighborhoods to experience a decline were South Boston, Back Bay, and Seaport, which more than likely reflects just how much of the recent higher price point inventory has already been absorbed. 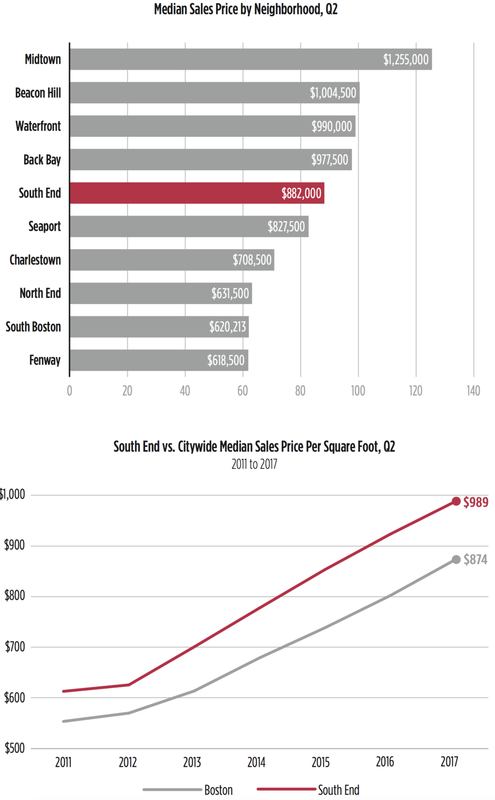 In the last five years in particular, median sales prices per square foot have surged across Boston. 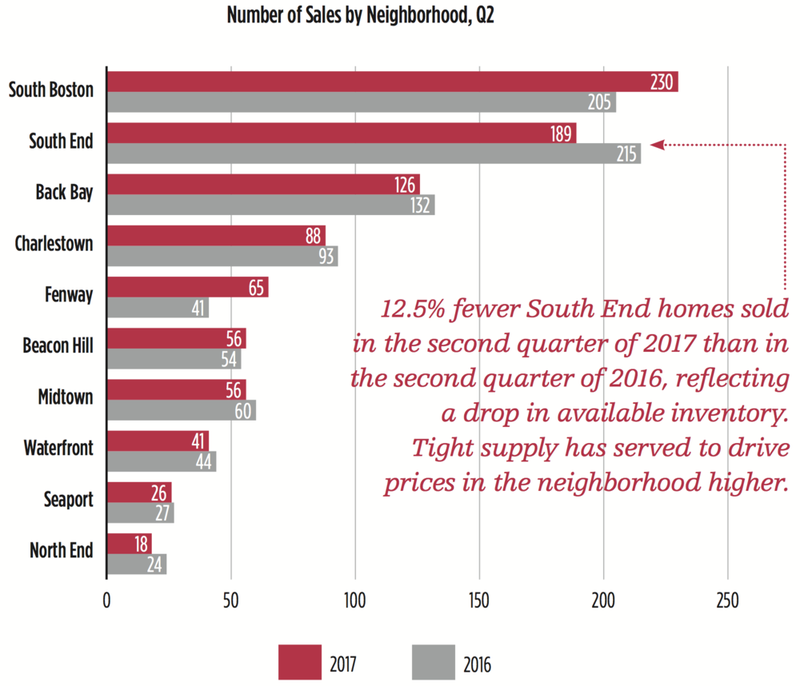 This rapid increase is most obvious in neighborhoods like the South End, which has steadily outpaced citywide prices. 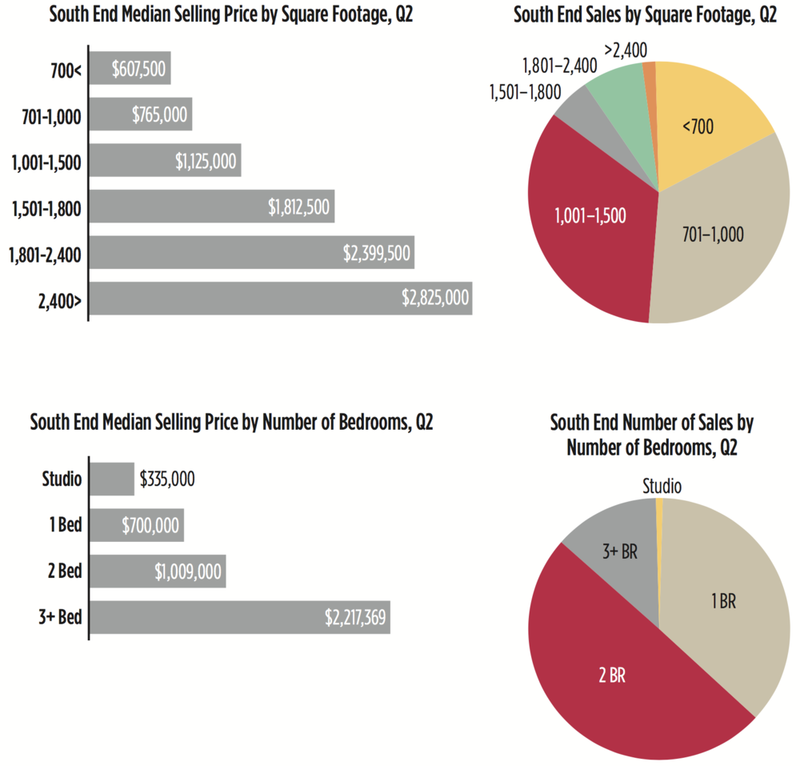 The South End retains its spot as a neighborhood of choice in Boston. Two bedroom homes make up half of the total number of sales in the second half of 2016.